We stock a large variety of sizes and types of crutch and walking stick tips. 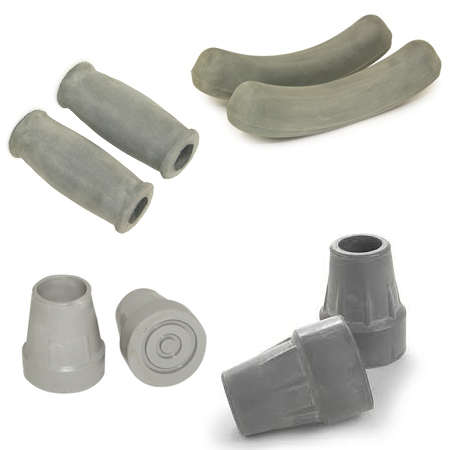 We also stock underarm crutch pads and foam grips. Bring in your walking stick or crutch and we can measure the appropriate size. * Specifications information provided is strictly for informational purposes only. Information is provided by individual items manufacturer. Wheelchairs and Stuff will not be liable for inaccurate information as we are unable to test every item individually. Any and all warranties are as offered by the item's manufacturer.